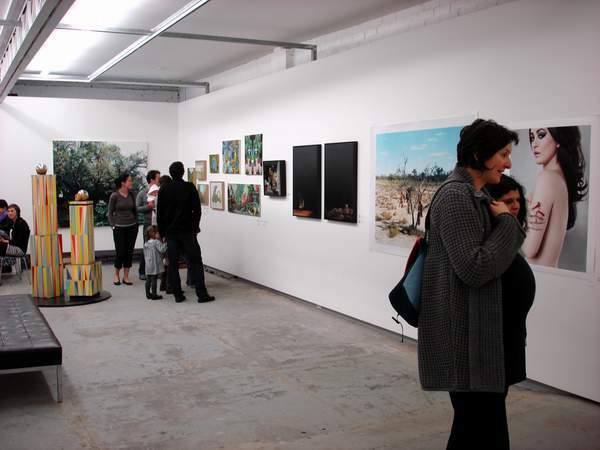 It had to happen eventually, but the Melbourne Art Fair finally has its own satellite event, called NOTFair. The event has been organised and curated by arts writer Ashley Crawford and artists Sam Leach and Tony Lloyd on the following premise. The triumvirate had written to the leading public gallery directors, curators, and academics and requested their opinion on the artists, who were “under-represented” either on the commercial scene, exhibition circuit, or in the media. In other, vernacularly Australian, words, the artist that deserve ‘a fair go’. The main difference, therefore, lies in the fact that there are no stands and no gallery presentations. NOTFair took place in a Richmond warehouse, which is shortly to be resurrected as the new home of Block Projects. 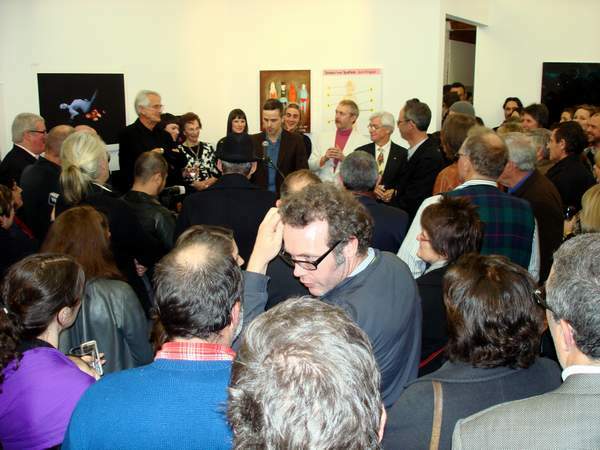 Furthermore, unlike the Art Fair, the entry to the fair was free, as was the opening event, which, as the result, was exceptionally well attended and the venue was filled beyond its capacity. The fair took shape of a large group exhibition, where painting, sculpture, works on paper, photographs, and multi-media works abutted each other. As the result, it was a very dynamic, not to mention a very colourful, heterogeneous display by predominantly younger artists. All artworks were for sale, and I assume that the sales commission is to underwrite the ongoing costs of this event. The quality of the works on display, not surprisingly, was well above average, and I would like to point out especially the number of superb drawings in the exhibition, which is the evidence of fresh, professional talent rising through the ranks of emerging Australian artists. Of personal favourites, for a variety of reasons, I would single out superb paintings by Stephan Balleux and rich, glossy creations by Andre Piquet; large-scale landscape paintings by Shannon Smiley and nocturnes by Camilla Tadich (works from the same series featured in the recent Bushfire exhibition at TarraWarra Museum of Art); surreal, mysterious, and evocative photographic works by Murray McKeich, and a reflective, meditative video work by Brielle Hansen. 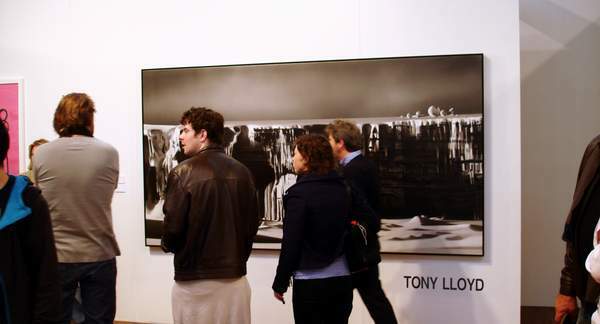 Perhaps one of the most exciting aspects of the Art Fair is the presence of international galleries. It is always interesting and refreshing to see the works of artists from other countries, as their vision and aesthetics are informed by heritage, artistic sensibilities, and political and / or religious points of view which are different from our own. While New Zealand galleries always have had a strong presence at the Fair, Australians still have to contend themselves by the crumbs of international dealerships that deign to descend upon Australian shores. Even then some of these are still owned and run by Australian expats. The directors of the Melbourne Art Fair have to work further, longer, and harder to entice the likes of Gagosian, Zwirner, or Ropac to dazzle local audiences with class acts of truly international renown. 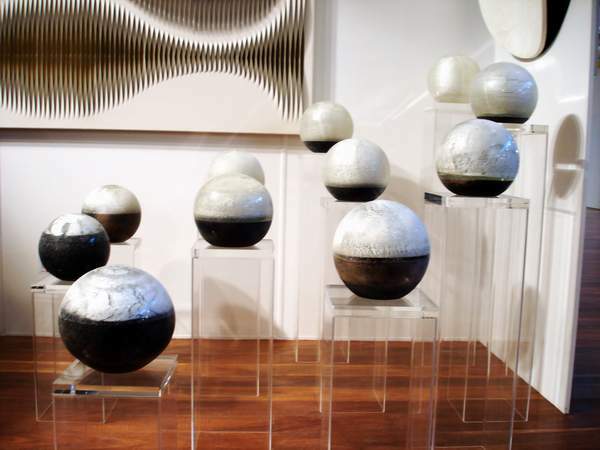 That having been said, Yamaki of Tokio, TrépanierBaer of Calgary, Tim Melville of Auckland, and 10 Chancery Lane of Hong Kong all presented outstanding exhibits with interesting, fresh, and original works, most of which have not been seen in Australia before. To reiterate what I said above, the Art Fair was filled with art works by Australia’s most prominent and outstanding contemporary artists. This exhibition is no forum for new developments or dramatic departures in their career, and I still enjoyed installations by Janet Laurence at ARC, Sam Jinks’s hyper-realistic sculptures at Karen Woodbury, Daniel Crooks’s video works at Anna Schwartz, Sally Smart’s large-scale mixed media works at Greenaway, and many others as much as I did when I saw them at their respective galleries. Therefore, the ‘surprises’ of the exhibition have been reserved to those artists whose works I may not have seen before in Melbourne’s premier galleries. These include a superb red and black construction painting by Marion Borgelt at Turner Galleries, and amazing spherical glass and mixed media sculptures by the same artist at Dominic Mersch; mixed media sculptures by Masauki Tsubota at Yamaki; neo-classical interpretations of Indian lives by Canadian artist Kent Monkman and most incredible distorted sculpted heads by his countryman, Evan Penny, both at TrépanierBaer; carved wooden sculptures with South-East Asian influences by Simeon Nelson at Mossgreen; thick impastoed works by Craig Weddell and hyper-realistic paintings by Brett East at Gallery 9; superb etched glass vessels at Perth Galleries; new grisaille monochromatic landscapes by Tony Lloyd at Sam Hill-Smith; superb vivid-blue paintings by Danie Mellor at Michael Reid’s; a selection of works by Tony Albert in various media at Gallerysmith; Alexander Setton’s sculpture at Jan Murphy; haunting, almost pre-Raphaelite in their appearance photographs by Robert Thornley at Tim Melville; innovative landscape paintings by Peter Gardiner at Damien Minton and by Andrew Taylor and Neil Frazer at Martin Brown; icy-blue photographic works by Sonia Payes at Charles Nodrum; installation sculptures covered in white fur by Kathy Temin at Roslyn Oxley; and fine ceramic vessels by Vietnamese artist Khanh Cong Bui at 10 Chancery Lane. To sum it all up, the Art Fair still represented an orgiastic experience for any art lover, even despite the retinal exhaustion caused by the sheer amount of art on display and many familiar faces in the crowd. It gives a great opportunity to Melbourne and Sydney art lovers to experience works by those artists from other states that do not normally exhibit in these metropolises; to everyone else an unparalleled opportunity for a one-stop shop to view the best of Australian art under one roof; and those who are merely curious about art without actively collecting in, a biennial art fix and perhaps an enticing opportunity to acquire their first piece. Despite all the costs enumerated above, the Art Fair is a great opportunity for galleries to promote themselves and their artists and increase their mailing lists. 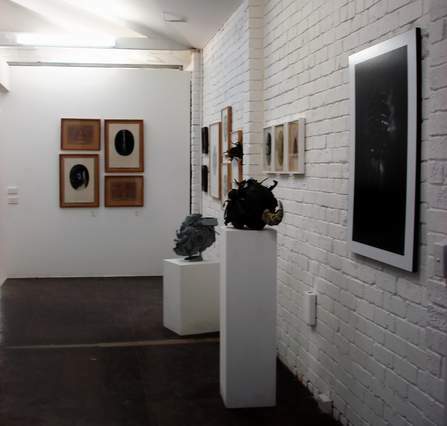 True, for the costs of being at a four-day fair, an interstate gallery could hire 45 Downstairs in Melbourne or Depot Gallery in Sydney for more than a month, but they would be unlikely to receive anywhere near as much exposure as they would during these four, hectic, crowded, head-spinning days!